As we celebrate our Constitution Day today, we need to take a step back and realise how this 2013 Constitution empowers us all. 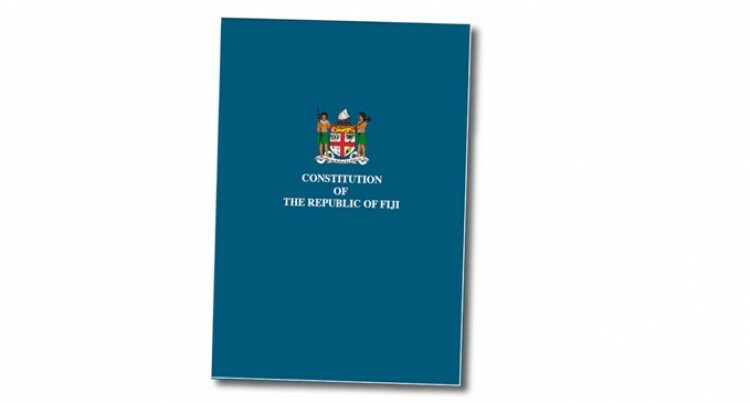 To begin with, this is the only Fijian Constitution which recognises all citizens of Fiji as Fijians. No more Fiji Islander or Indo-Fijian, we are all Fijians. This alone is a reason for celebration. The Constitution is the first to be translated into three major languages – English, Hindustani and iTaukei – and distributed widely. It is also the first Fijian Constitution published in Braille. This is such an empowering step to bring those who have often been left on the periphery. It is the first Fijian Constitution which includes socio-economic rights. No previous Fijian constitution had a specific section dedicated to socio-economic rights. Civil and political rights had almost always been given prominence over our socio-economic rights. It is, however, the best we have had in a very, very long time. Our Constitution has paved the way forward for a mod­ern and progressive society. But, at the same time, it has provided additional safe­guards to what many in Fiji hold dear to them – land. Our Constitution does not allow for a land swap. It does not allow for permanent alienation of iTaukei land. The proof is indeed in the pudding, as they say. What is the test for this? Has any mataqali lost a single millimetre of their land under this administration? This law cannot be amended at anyone’s whim. Instead, if there are changes to be done to any part of our Constitution, a referendum will need to be called. We have been hearing continuous attacks on this val­ued document, many of which have been driven by po­litical agenda of various people. Do not be swayed by those who are driven by an agenda. Get a copy of your Constitution and know what is in it. It a document worthy of many celebrations.